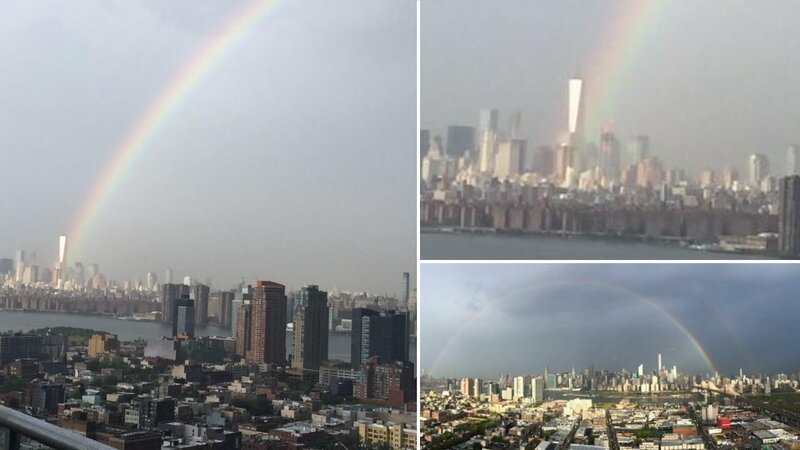 NEW YORK -- Stunning photos show a rainbow coming from the World Trade Center in New York City Thursday, one day before the city marks the 14th year since an attack on Lower Manhattan. Eyewitness News will have special coverage of the 9/11 memorial ceremony on Friday starting at 8:25 a.m. Watch live via the abc7NY app. If you capture weather or breaking news on your camera or cellphone, send it to us on Twitter or Instagram using the hashtag #abc7NY.